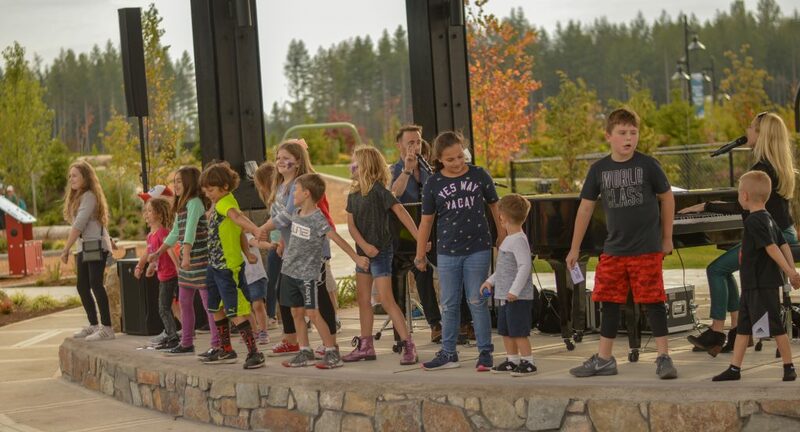 Ten Trails held their Grand Opening Hometown Harvest celebration on September 29, 2018. 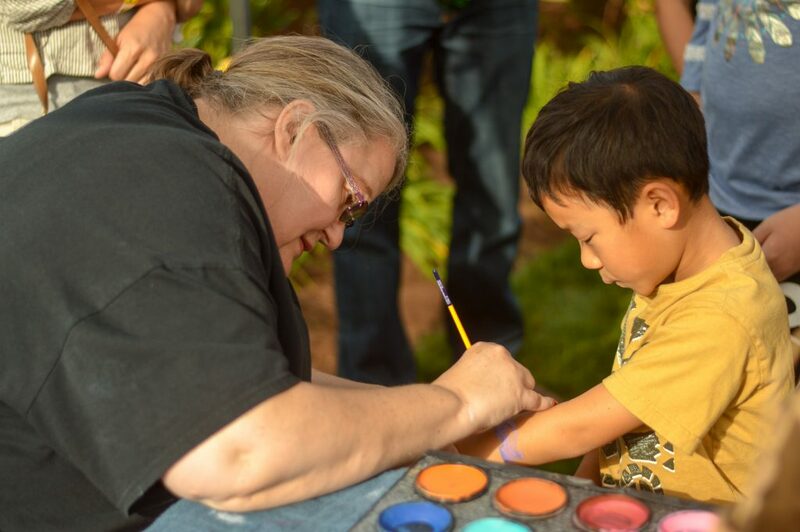 As part of the afternoon celebration, there was a tasting tour held throughout the Welcome Center and the model homes, in addition to activities for kids held in the Civic Park and Village Green like laser tag, a game truck, face-painting, bouncy houses, relay races, and more! Live music was provided by Jeff and Rhiannon, of Noteworthy Productions. From 4 to 6 pm, on the performance stage in the Civic Park, the musical comedy team performed hits new and old to a crowd of families and children. 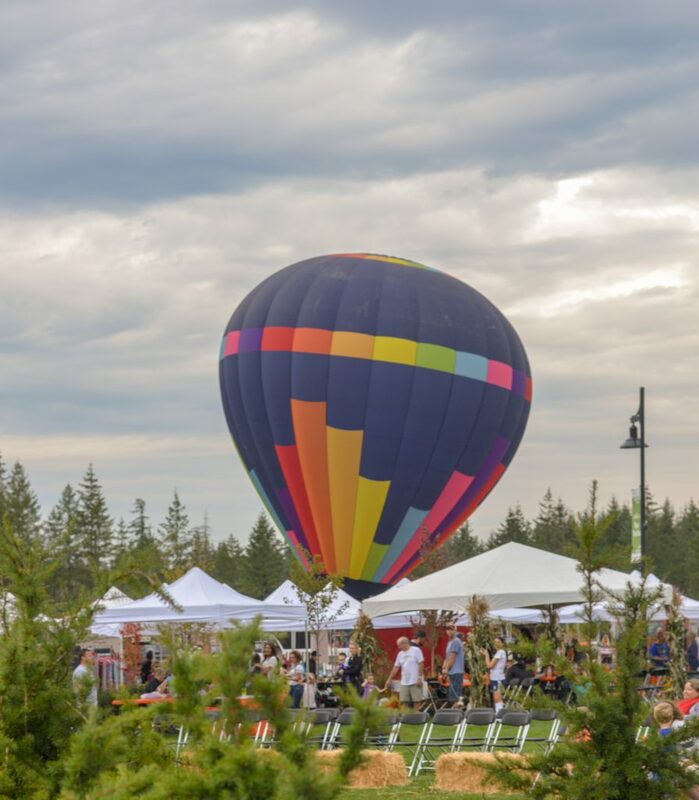 Hot-air balloon rides were provided by Seattle Ballooning and were held at the end of the event from 5 to 6 pm. At the end of the event, a winner was drawn for the personal ride for two, compliments of Ten Trails! 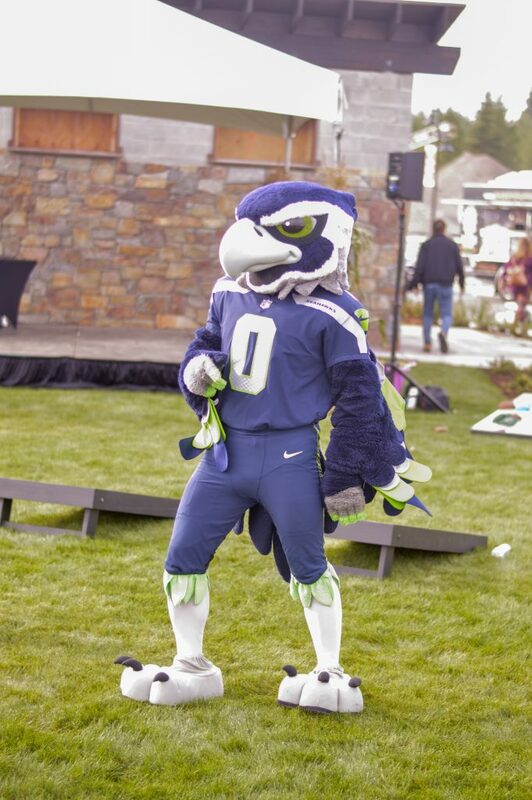 The day also included a special visit from Seahawks’ mascot, Blitz, who greeted the crowd and posed for pictures. For more photos and a video of the event, visit our Ten Trails Facebook page. Thanks to everyone who came out for this wonderful event!